For the second consecutive summer, ÔBABA collaborates with BIJOUX SO GOOD, a young brand of designers from Brittany. They developed the original idea of ​​the colorful elastic bracelets. We share many common points and values, and soon it became friendship. Originality, French manufacture, lightness, trendy colors and gold prints combine the two brands to offer some cool accessories for the summer. Edited in limited quantity, this capsule collection keeps the blue navy colour. Be chic at the beach with your family or friends. 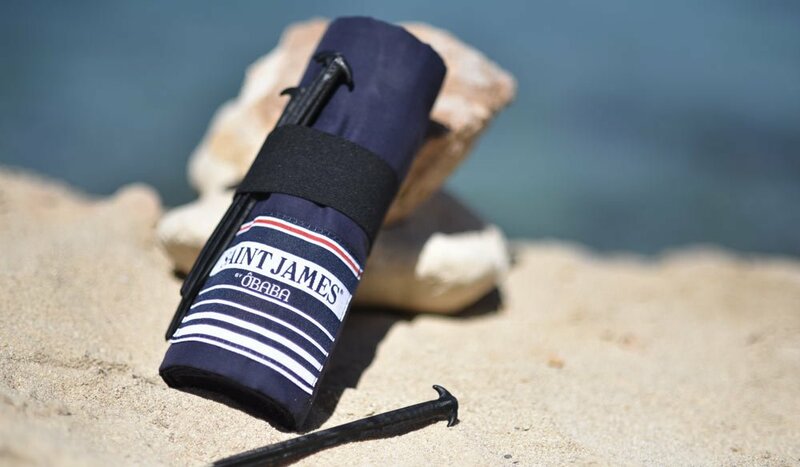 What are the really necessary things you need to bring with you in your beach bag? Easy: a Ôbaba, a good solar protection, a big bottle of cold water, something to read and... the new anti sand AFTER BEACH brush. As your ôbaba, it will become something you need. 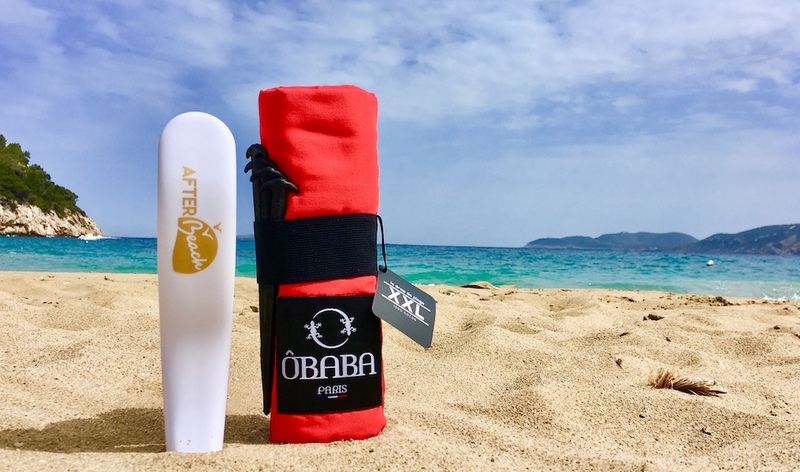 ÔBABA & AFTER Beach will make your summer better. With this brush you will get rid of the sand of your feet, legs or surf table in a few seconds. A chic and colored elastic bracelet is the new trend for the summer. At your wrist or ankle, this bracelet will accompany you during all summer - like your ôbaba. As soon as the ÔBABA team met the two Breton creators of jewelry, the summer collaboration was obvious. Discover Bijoux So Good and their 2017 collection. ÔBABA and SO GOOD offer you 1 bracelet with any order. This is a limited offer not to be missed. DARCO is an internationally recognised artist of street art. This capsule collection in collaboration with DARCO presents 300 unique ôbabas numbered by the artist packaged in a wood box. 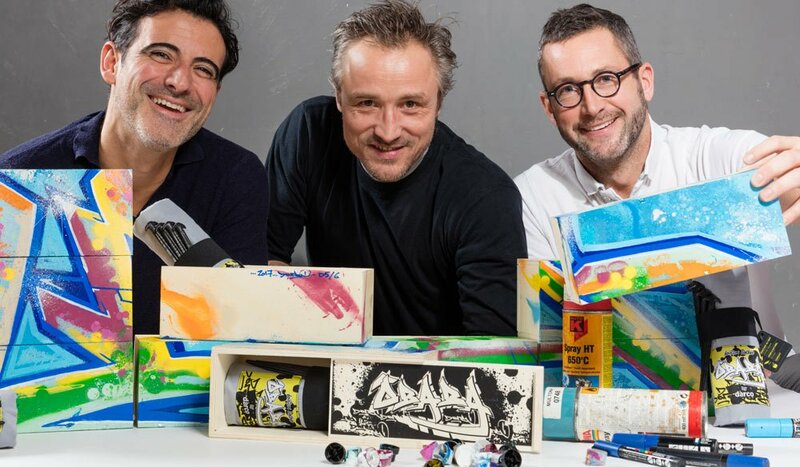 Out of these, 30 boxes have been transformed in a work of art, a graffiti of almost 3m entitled "BON VOYAGE". This work of art has been acquired by LA GALLERIE NATIONALE (Dubai). A "collection capsule" to escape to Mont Saint Michel ! 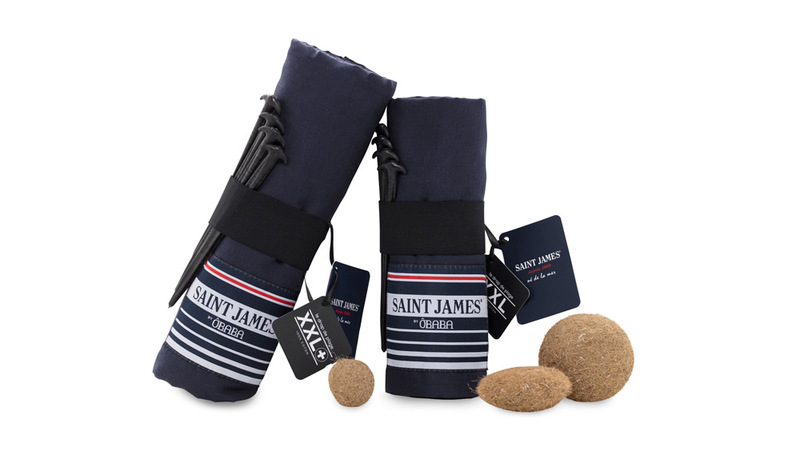 Saint James is the French reference brand in knitwear since 1889. The brand created the legendary sailor jersey and continue to manufacture alongside Mont Saint Michel. Our subtle marine codes are mixed, which are the essential identity of the 2 brands. The navy blue-colored limited edition is of an incomparable elegance and sobriety. 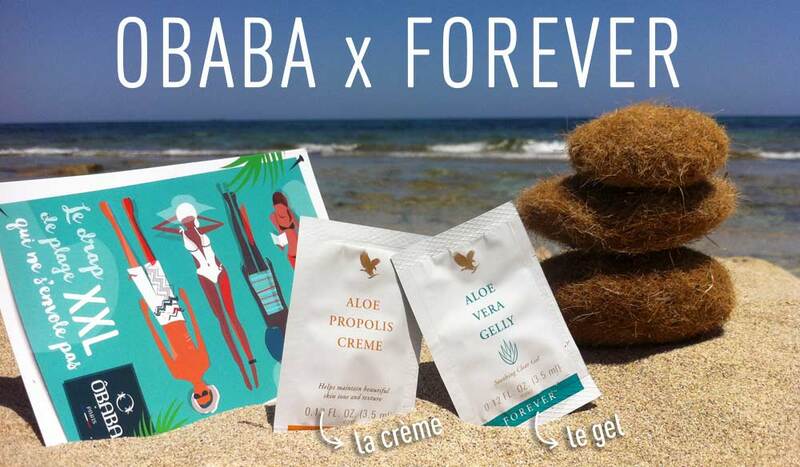 Enjoy thé sun with FOREVER, a range of solar products based on Aloe Vera. Presented in cream, gel or stick, FOREVER will protect you this summer while enjoying the natural benefits of Aloe Vera. Our new partnership for the summer of 2016 is an exclusive collection with the legendary restaurant and beach club JUAN Y ANDREA in Formentera. Located on the world renowned Illetes beach (white sand and turquoise waters, situated in a natural park) JUAN Y ANDREA has become a gastronomic reference of the island. The restaurant is an institution where the Jet- set and celebrities arrive by yacht to enjoy the Mediterranean sea. The limited collection with luxury hotel USHUAIA IBIZA put two unique concepts together. USHUAIA has created a new concept of fun, mixing a super luxury hotel with an outdoor nightclub and the best DJs in the world. USHUAIA is innovative, chic but at the same time young and enjoyable. Everything you need for the beach! ES COLLECTION is a young brand created in 2006, which designs and manufactures its collections of swimwear and menswear in Barcelona. Thanks to its high quality and original design, ES COLLECTION has been very successful, and the brand is on sale in more than 30 countries. Put on your ES bathing suit, pick up your ÔBABA and you are ready to enjoy the beach! ÔBABA has always admired the creativity and unmistakable style of THOMAS DE LUSSAC, undisputed figure of the "made in France" design. The Parisian designer has received countless awards (including the Janus and the Prix Etoile du Design). This collaboration dressed our ÔBABA with the orange of the legendary Moonwalk lamp created by THOMAS DE LUSSAC.